SubRosa - a community space: 6/6- Friday Art Opening Featuring Artwork by the Women of the Santa Cruz County Jail, 6/5- Open Mic, 6/4- A Show! 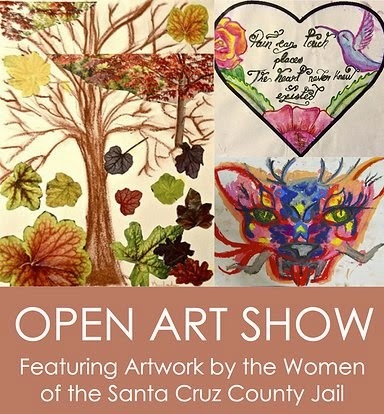 6/6- Friday Art Opening Featuring Artwork by the Women of the Santa Cruz County Jail, 6/5- Open Mic, 6/4- A Show! and stories from the women. The Artistic Rehabilitative Therapeutic* (ART) Initiative is a UC Santa Cruz student-run organization that conducts weekly therapeutic art projects with the women in the Santa Cruz County Jails. Our mission is to pair art creation with coping skill education in a supportive and collective space in order to tackle issues regarding recidivism and idleness. This program provides a reciprocal learning relationship with the inmates and facilitators, aiming to educate and heal through creating self-esteem, fostering creativity, and empowering a critical consciousness within a supportive community. 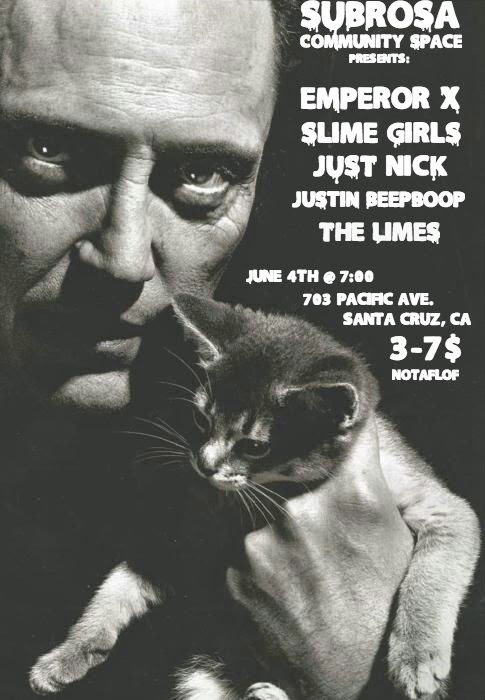 and attend SubRosa's 1st Thursday Open Mic on 6/5! Donations directly benefit this community-supported space. Signups for performance at 7:30 fill up quickly and it all begins at 8pm! and go to a great show Tomorrow, Wednesday June 4, 7pm! COME OUT AND SUPPORT TOURING ACTS!